Anyone that has ever seen The Lord of the Rings movies, or more importantly read the books, there are many different races that live on the world which the amazing J.R.R. Tolkien created named Arda. While there are well over a two or three dozen races described in the books, there were only a few that were actually named, and even fewer that were used (or heavily alluded to) in the movies. It is these 13 Races that will be discussed here. Each of the races will have a little background history, and an example (if possible) of a character from the books and movies. Just as there were Maiar that remained faithful and followed Manwë, there were those who did not. 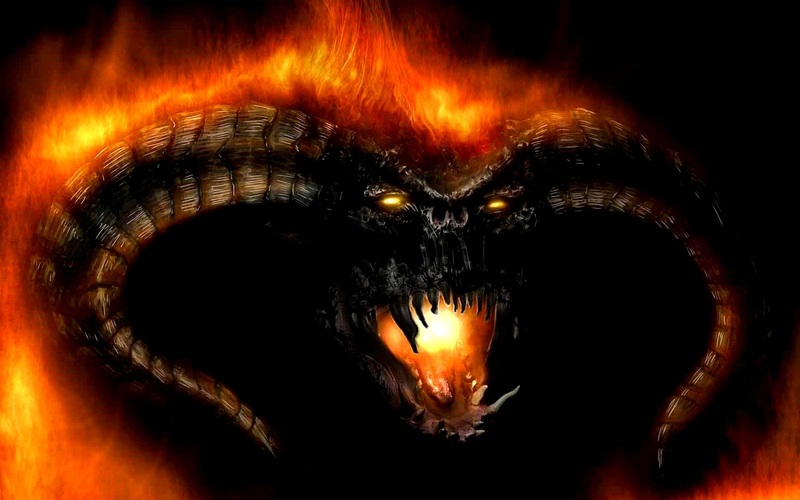 These fallen Maiar became known as the Balrog. No exact numbers were provided for how many Balrog existed, and only one was given a specific name, Gothmog who was the Lord of the Balrog’s, and second only to Melkor and equal in rank to Sauron. Gothmog fell in battle in the year 510 of the First Age when he battled against Ecthelion who was a contemporary and friend of Glorfindel (the one who carried Frodo into Rivendell, and saving him from the Ring Wraiths. The only other major Balrog that is closed to being named in the series was given the title Durin’s Bane, and is the one who fought Gandalf the Grey in Moira. As with the Ainur, the Balrog are virtually ageless and immortal. Serpents, Great Worms, Drakes, by whatever name they were called, dragons have existed since the First age. They were originally created and bred by Melkor to serve the role of shock troops in his army. 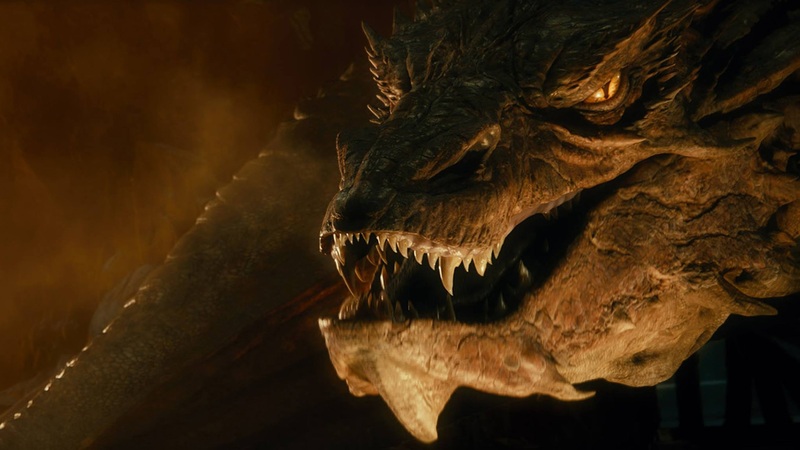 The father of all dragons went by the name of Glaurung, while the last of the “Great” Dragon’s mentioned by name to have lived on Arda was Smaug who Bilbo confronted, and Bard killed. Once Melkor was thrown into the void, and Glaurung was killed, the dragons primarily focused their efforts on collecting vast stores of wealth, and this often lead to them becoming a great a major threat and nuisance to the dwarves and elves. Physically, dragons were among the largest and strongest of the races of Arda. When a fully grown winged dragon (such as Smaug) would flap his wings it carried the force of a hurricane, and the flames that they could generate were one of the few things that could actually destroy the Rings of Power (though not the One Ring). Not much is actually known about the full life cycle of a dragon, since there were none that died of old age. What is known is that a dragon did not enter adolescence until they had lived at least a century. By the time that Smaug died, he had already lived in the Lonely Mountain for roughly 200 years, and was already fully grown at that time. This means that at a minimum, he was 300 years old, though it is entirely possible that he was much, much, older than that. Hypothetically, if a dragon were to be left alone, and given ideal circumstances, they may be effectively immortal. Also known as the Gonnhirrim (Masters of Stone), Naugrim (Stunted People), and Khazad, Dwarves are one of the most easily recognized (and cantankerous) races on Arda. Techically, the dwarves were the first of the races to be created, though they were created out of turn. This race was not created by Eru as the others were, and instead created by Aulë who was reprimanded by Eru. As punishment, Eru decreed that the dwarves would sleep until after the Elves were created and were walking the world. As a race, dwarves have exceptionally long lives, much longer than “mortal” men such as Aragorn. For example, at the time of his death Thorin Oakenshield was 195 years old, and still considered relatively young among his companions. Gimli, the son of Glóin (a companion of Thorin Oakenshield), was 60-ish when Thorin died and he was considered (for all intents and purposes) a child at that age. 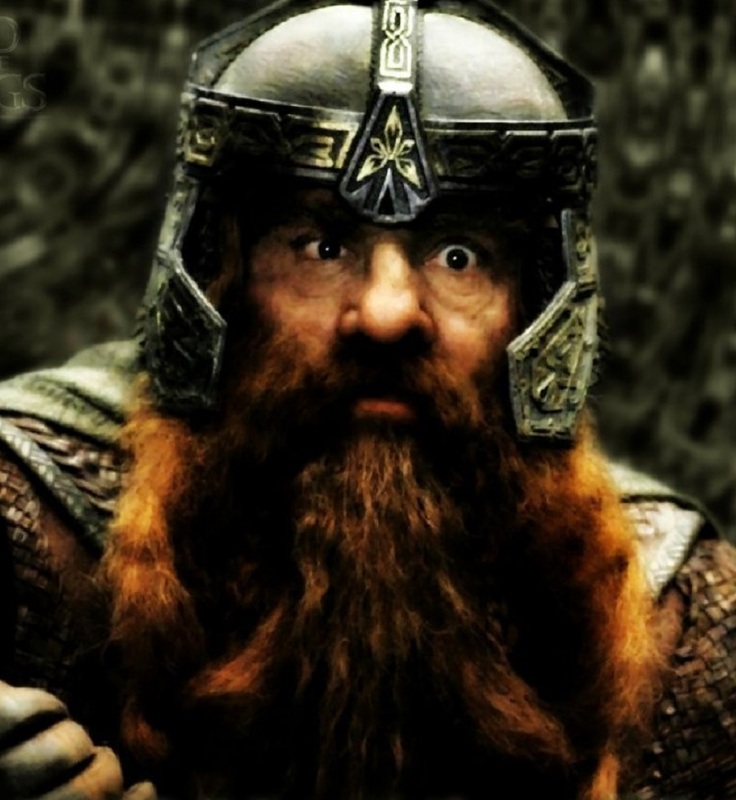 When Gimli left Arda for the Undying Lands he was 261 years old. This fantastic race appeared on Arda shortly after the elves, as a counter to the industrial tendencies that were exhibited by the dwarves. Unfortunately, over time this amazing race were slowly forgotten over time, and relegated to the realm of legend and fantasy by some of the younger races of Arda. An example of this was when Merry and Pippin met the Ent Treebeard during the War of the Ring. To illustrate just how long the Ents lived, Treebeard shared with the young Hobbits the fact that the Ents were taught how to talk by the elves, Treebeard called this being cured of “dumbness.” Ents are physically one of the stronger races on the planet, and only Trolls can usually counter them (such as the Cave Troll that the Fellowship ran into in the mines of Moria). 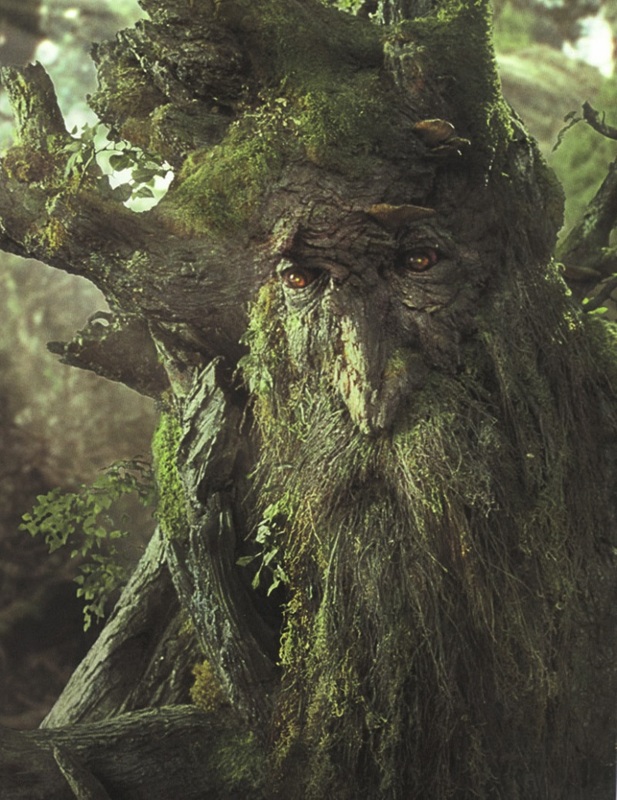 While the Ents are exceptionally long lived, they are also slow to reproduce, and there have been no new Ents born in recent memory (of either the Elves or Ents). This is in large part due to the fact that the Entwives, the female Ents, have been missing for close to a millennium. Unfortunately, it looks as if the days of the Ents are numbered. Known as the Firstborn, Elves were the first “mortal” race that were created and allowed to walk about the face of Arda by the Ainur. There are no known records of an Elf dying due to old age. In fact, an example of just how long Elves have been known to live can be seen in Elrond the Half-Elf. 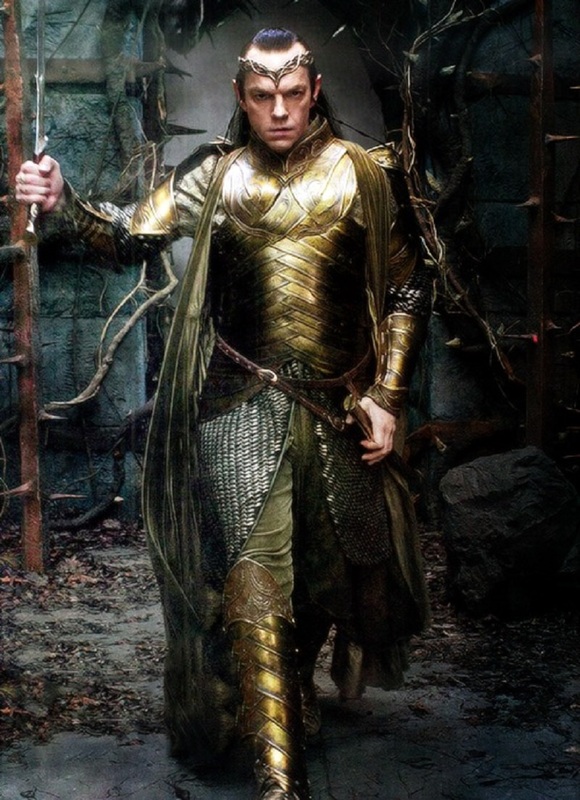 Elrond was born in the final years of the First Age, and left for the Undying Lands at the end of the Third Age, for a total of roughly 6,520 years. When Elves marry, they marry for life. This means that they never remarry if a spouse dies. Further, if an Elf marries a “mortal” race such as Men and have a child, that child is a placed in a unique situation. When they “come of age” they make a choice where they can volunteer to have a much shorter lifespan and eventually die of old age (such was the choice made by Arwen when she married Aragorn). 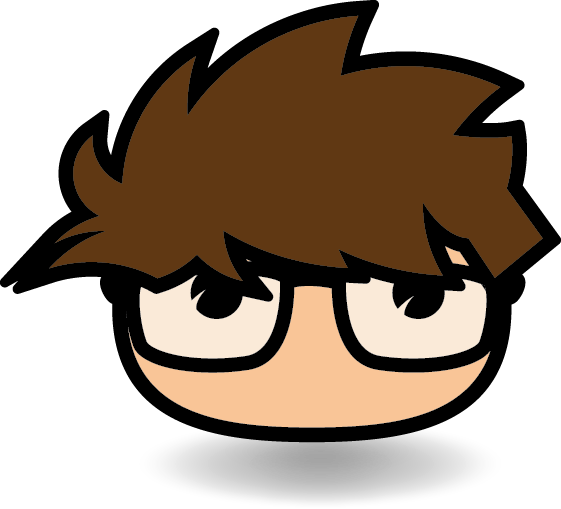 However, if they do not choose to do so, they are effectively immortal…though they can die due to violence. Also known as the Eagles of Manwë, the Great Eagles were one of the races that were created specifically by Manwë. The eagles were given the task to help keep the evil of the fallen Valar Melkor Morgoth and Sauron in check. These magnificent birds were also the messengers, spies, and as some of the most devoted troops on the side of the light during the almost endless war against evil. As with many of the first races, the Great Eagles were effectively immortal, only dying of violence rather than old age. 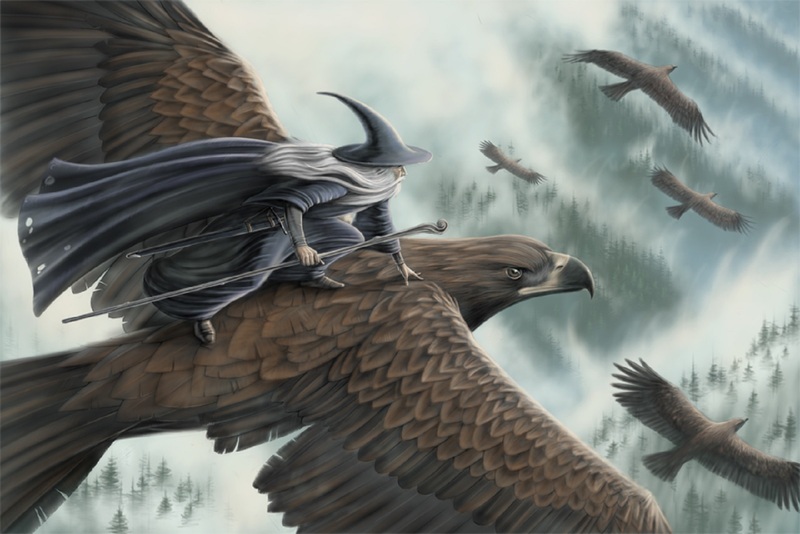 The Great Eagles were the ones that rescued Gandalf from Orthanc, and Frodo and Sam from the side of Mount Doom. The Great Spiders, more properly known as the Spawn of Ungoliant, were some of the more memorable Servants of the Shadow. While these oversized, sentient spiders are found in practically every location that carries a heavy taint of the Shadow, not much is really known about them. For example, no one really knows how old they can get (probably due to the fact that any watchers tend to get eaten). 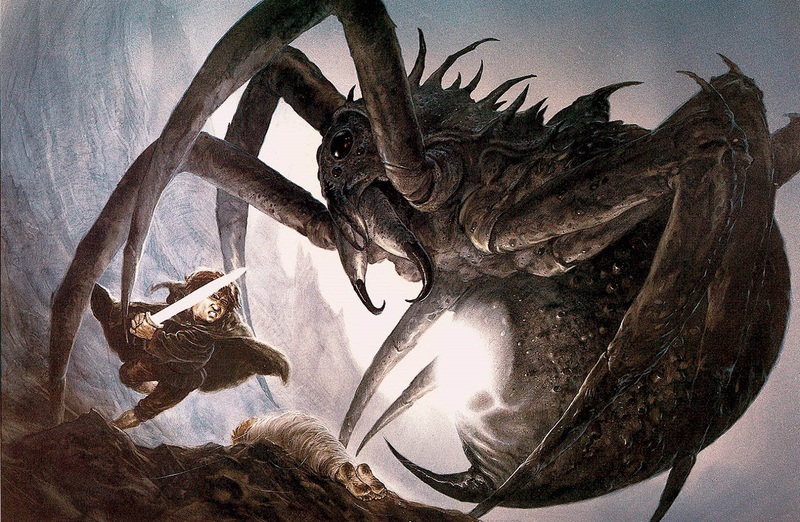 Ungoliant, the first of the Great Spiders, was an ally of Melkor and a fellow Ainur who fell to the shadow. When Ungoliant fell, she took the form of a spider, and earned the name Spider of Night. Ungoliant was the one that helped Melkor begin his rebellion against Manwë, and who later grew so powerful that even Melkor feared her. Eventually she was killed at the end of the First Age when she gave in to her never-ending hunger, and ate herself. The other notable member of this race was a daughter of Ungoliant’s, by the name of Shelob. Shelob lived in Mordor, and inadvertently guarded one of the entrances to the Dark Lord Sauron’s lands. While she lived there, she ate anything that she could find (Elves, Men, Orcs, even attempting a couple of Hobbits) since she also felt some of the great hunger of Ungoliant. Hobbits are one of the few races, if not the only one, that no one knows where they came from. If they were created by one of the Ainur (such as Manwë) or were a direct creation of Eru, then no one is talking. The race as a whole were first noticed at the start of the Third Age, but it is not clear as to when they really first came on the scene. What is known is that these Halflings are a very gentle race that prefers to talk and share a good meal than get into a fight. However, if the need does arise, the Hobbits are among the most nimble and stealthy of the races around. While the average Hobbit only lives to be about 100 years old, there are several that live much longer than that, and a couple that have even lived to be 130 or so. Two of the most notable Hobbits were of the Baggins family, Bilbo and Frodo. 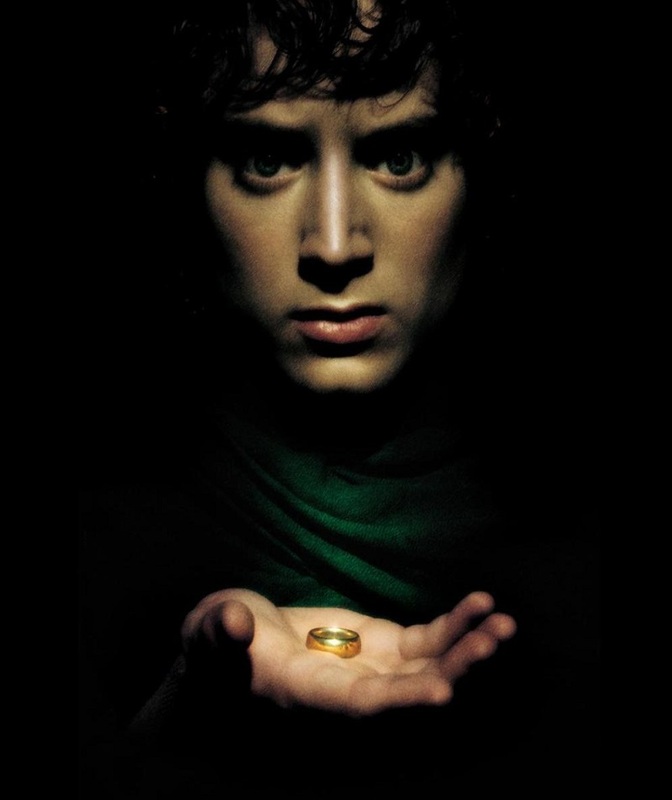 Bilbo is the one that found The One Ring just prior to the start of the War of the Ring, and Frodo is the Halfling that was able to carry the cursed ring to its final destruction. In the simplest possible terms, Maiar are what were known to the racaes of Arda as Wizards. However, there is a little more to it than that. 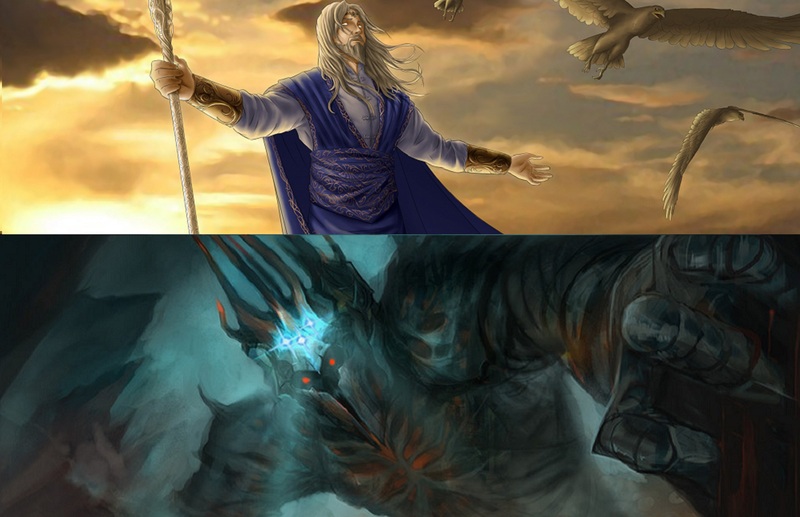 Maiar are, technically, lesser Ainur they are also truly worthy of being called a separate race of primordial spirits that were the earthly servants of the Valar. This is an immortal race that has been around since before the formation of the world, and upon its creation were tasked to work with specific Ainur who were over a portion of the world. For example, there is Olórin (Gandalf) who worked directly with Manwë, Curumo (Saruman) who worked with Aulë, Alwendil (Radagast the Brown) worked with Yavanna, and finally, and Mairon (Sauron) who worked primarily with Melkor. 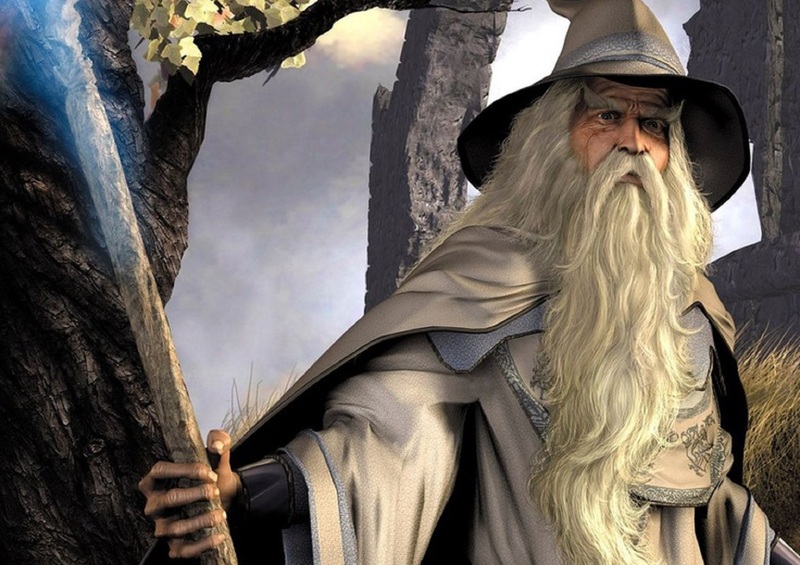 There were countless Maiar throughout the ages, and only those who remained faithful came to be known as the Wizards. The ones who fell early became Balrogs and other Servants of the Shadow. One of the most notable betrayals was Saruman the White, who turned his back on Manwe and became a servant of Sauron. Just as there are many races on Arda, there are also many races of Man as well. While most races of Men will typically live between 80 and 100 years, there is one race that is much longer lived. That race is called the Númenóreans, and are also known as the Dúnedain. 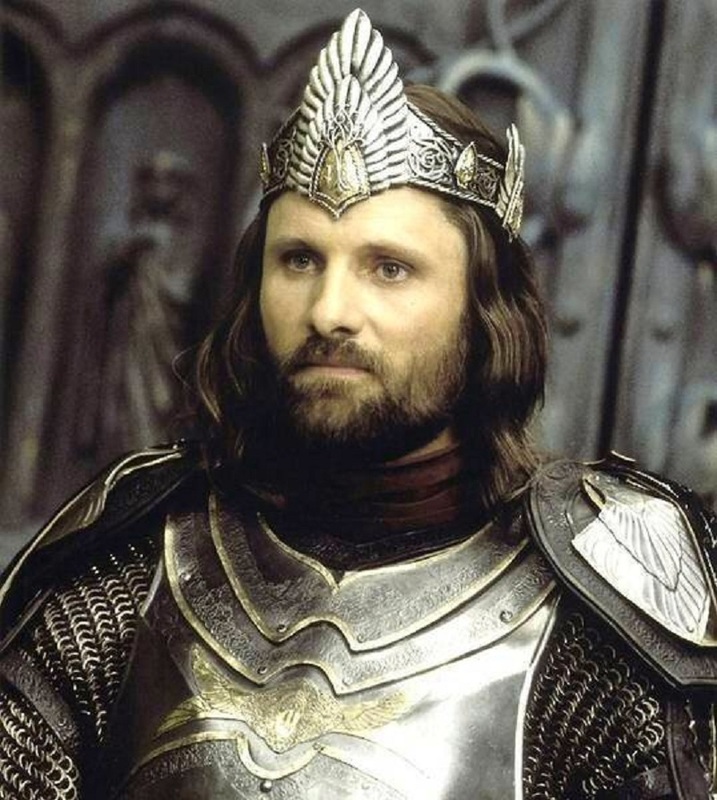 The typical Dúnedain will live to be about 150 to 180 years, while their Kings (such as Aragorn) can live to over 200 years. Aragorn specifically lived to be about 210 when he died. This particular race of Man came from the Island of Númenor prior to it being sunk, and settled in Amor and Gondor. By the time that the Third Age came about, then they were primarily located around Gondor (though there were a few Rangers wandering in the North). Periodically there would be intermarriage between this race and Elves, which would allow the children of the union to live a dramatically increased life – oftentimes three times as long. An example of this can be found in Elros (the son of Arwen and Aragorn) who lived to be about 450 years old before he died. The tale of the Orc is a tragic one, since they were (and are) not a natural creation of Manwë or Eru. Rather they were created by Melkor twisting and perverting Elves. Not much is known about the exact process utilized by Melkor to turn a beautiful and peace loving Elf into the twisted, dark, and blood lusting monster that is the Orc. What is known is that they were created in the First Age, that they cannot remain in the sun uncovered, and that physically they are somewhat shorter than most Men. However, since they are perversions of Elves they do tend to have the same lifespan. Thus, they are virtually immortal, and will often only die due to violence. 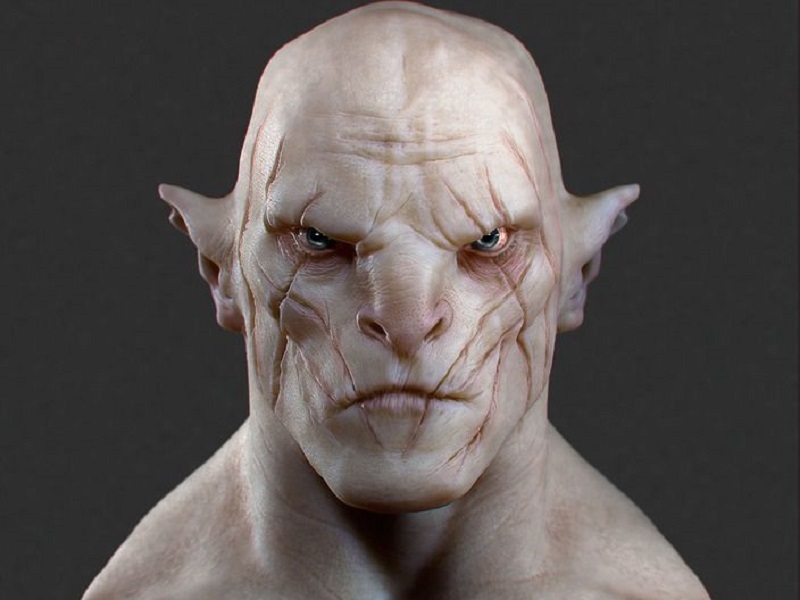 One of the more notable Orcs mentioned in The Lord of the Rings or The Hobbit is Azog the Defiler. This orc is the one that fought Thorin Oakenshield during the Battle of Five Armies, and caused his death. The Orc Gothmog is the chief lieutenant of the Witch-King of Angmar (the Ring Wraith) who lead the attack against the forces of Gondor during the War of the Ring. Uruk-hai were first created by Sauron near the end of the Third Age, in an attempt to improve upon the ancient Orcs that were created by Melkor. These Orcs are smarter, stronger, and larger than a regular orc and are thus much more of a danger to face. It was through the use of these troops that Sauron’s forces were able to take, and destroy, the Gondorian city of Osgiliath. Saruman the White was taught the process for making these types of Orcs by Sauron in order to create the large army that marched on Helm’s Deep, and joined the rest of Sauron’s forces later in the War of the Ring. 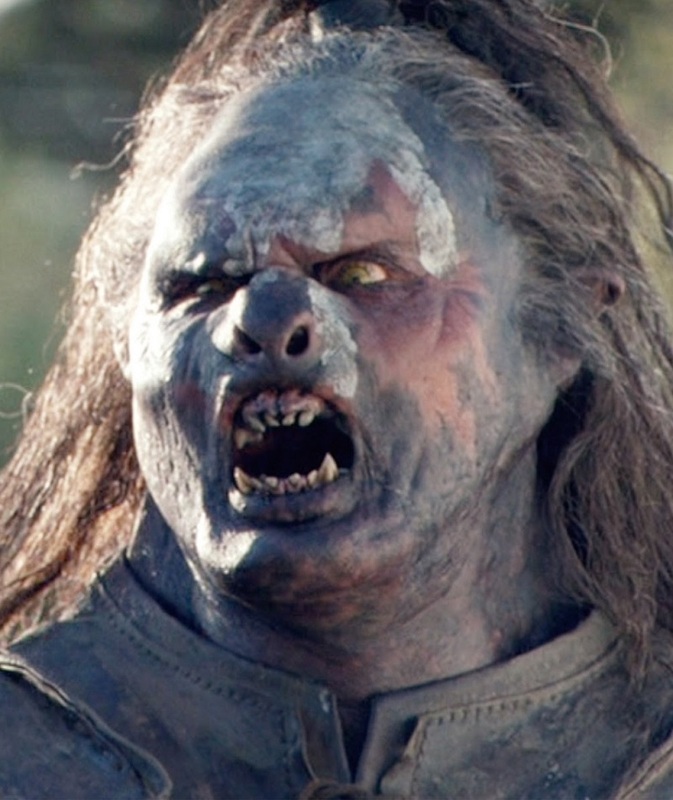 One of the more notable Uruk-hai in the books, at least being named, is Ugluk. This orc is the one that lead the forces who captured Merry and Pippen, killed Boromir, and helped scatter the Fellowship of the Ring. Well, there you have it…13 of the most common and known races on Arda, the world that was created by J.R.R. Tolkien. There are naturally many more, literally dozens of other races, sub races, and individuals mentioned in the books. This is only a glimmer into what is awaiting you as you explore the books and movies. You still have were-wolves, trolls, vampires, wraiths, skin-changers, fairies, and much more. Have fun.